The recent period of low solar activity seems to be over. Sunspots appear everywhere on the solar disk and one of them the 1226 sunspotactivity shows a very strong, creating a geomagnetic storm on Earth. Solar wind speed 643.2 km / sec, density of 2.4 protons/cm3. So far, none of these blasts had no effect on the earth, but this is changing as the active region turned toward Earth in the coming days. 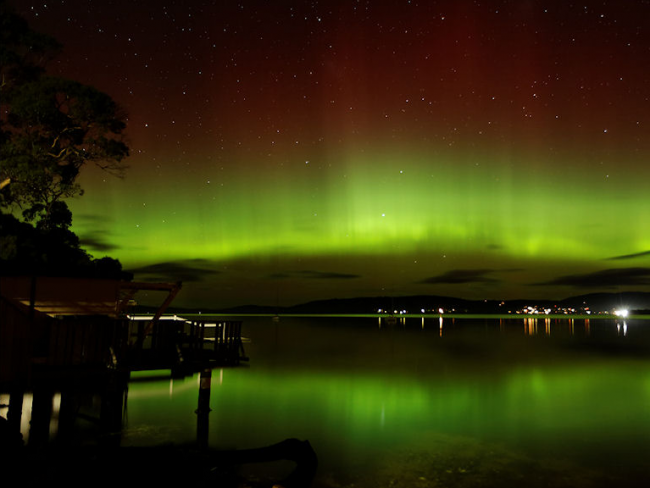 This activity allow us these beautiful pictures of Southern Aurora Lights by Ian Stewart via spaceweather.com, aurora australis, seen in Tasmania, Australia May 29, 2011. DX propgation is back and here to stay from now!